The Elo 19R1 Touchcomputer has been discontinued. No direct replacement is available. Designed for touch from the ground-up with a stable stand and tiltable display. The ELO TouchSystems 19R1 Touchcomputer delivers a wide range of performance options in a sleek and stylish package. 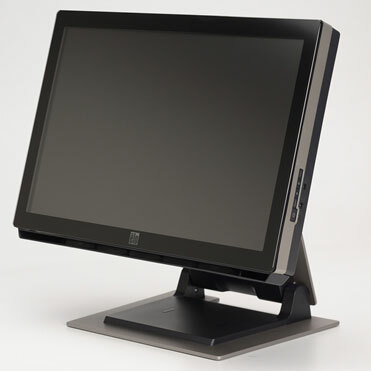 The 19R1 Touchcomputer All-in-One touchcomputer meets the needs of various point-of-information venues such as retail stores, hospitability settings, gaming and health care environments. The 19R1 Touchcomputer provides a high standard of quality for customer registration stations and check-in points as well as interactive digital signage applications. For average computing needs, the 19R1 Touchcomputer model comes with the Intel Atom Dual-Core 1.6GHz processor. Power brick (12V, 4.16A, 50W, US) for the 1517L, 1739L, 1729L, 1939L, and 2244L.